Balloon Dome Canopy was a hit with the students as they danced the night away at prom. Center view of the dome. Entrance Mask arch. Call 863-255-2025 to have us create custom decor for your celebration. 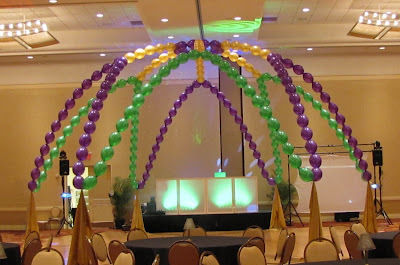 We are based in Lakeland Florida and travel in Central Florida to create the Wow for your special event.